In order for a receiver to pick up a given radio station, it is necessary to set it to a certain wavelength; otherwise even the most perfect technology would be useless. It is the same with man. In order to be able to receive the Divine message and to absorb Divine energy, his moral sense must, like a kind of “receiver,” be set to the corresponding spiritual and moral wavelength. Thus, religion is the means of establishing a bond with God on the basis of knowledge communicated by God through Revelation. In essence, this is the very same contact that is necessary for establishing a “connection” with the source of Divine energy. Revelation contains information not only about God, but also knowledge about man himself, about the surrounding world, about the human community, and also about the relationship between God and man, God and the Universe. This system of knowledge, based on Divine Revelation, is the philosophical foundation of religion. But religion is not just knowledge and a worldview. First and foremost it is a way of life in accordance with this knowledge. If one constructs his life based on religious principles, his moral nature will undergo a profound change: he will begin to assimilate qualities inherent in God. In the Bible it is stated that man was created according to the image and likeness of God. The Holy Fathers and teachers of the Church interpret this Biblical truth thus: in human nature are incorporated and contain the same qualities that God possesses. Namely: reason, free will, and feelings. However, these qualities and powers are incomparable to those that God Himself possesses. Likeness to God means the development in man of these qualities, in order to try to reduce the distance between him and God. Thus, based on this knowledge gained through Revelation, by developing his moral nature and realizing the image of God embedded in him, man comes into contact with God and a religious bond arises between them. In order for a receiver to pick up a given radio station, it is necessary to set it to a certain wavelength; otherwise even the most perfect technology would be useless. It is the same with man. In order to be able to receive the Divine message and to absorb Divine energy, his moral sense must, like a kind of “receiver,” be set to the corresponding spiritual and moral wavelength. For man enters into communion with God only on the condition that his moral nature corresponds to the Divine nature. However, at all times people have tried to enter into communion with God while bypassing this spiritual and moral path. Such an attempt to establish contact with the supersensible world without spiritual and moral effort – without the task of inner transformation and the changing of one’s moral nature – is called occultism. And using contacts with the spiritual world without the goal of transforming one’s spiritual and moral nature is called magic or witchcraft. And this is what happens in such cases: people seek a bond with the spiritual world, but are overcome by something else entirely! Moral nature is something different! Through occultism, witchcraft, and magic, one does not enter into communion with God, the Source of Life and Moral Perfection, but with something else, the opposite spiritual foundation that also exists in the supersensible world, and that in the language of Holy Scripture is called the devil. The devil is the personification of evil, the center of darkness, and the antipode of God. Thus people who enter into contact with the supersensible world outside the system of spiritual and moral self-perfection in fact come into contact with the devil and become the object of the influence of dark powers. In recent years, there has been widespread enthusiasm for the so-called occult sciences. Registered societies of witches and magic advertise on television, in newspapers, and in magazines. Modern man, having been cut off for many years from faith, the Church, and religious knowledge, easily gives himself over to the power of all these false teachings, not even imagining the terrible danger for himself, his family, and his friends that occult connections with the supersensible world contain. Thus, we know that religion is granted to man for the opportunity to unite with God, to perceive His Divine energy, and for the quickening thereby of our being. There exist many religions. The question of which is the true religion requires a special and very profound investigation. 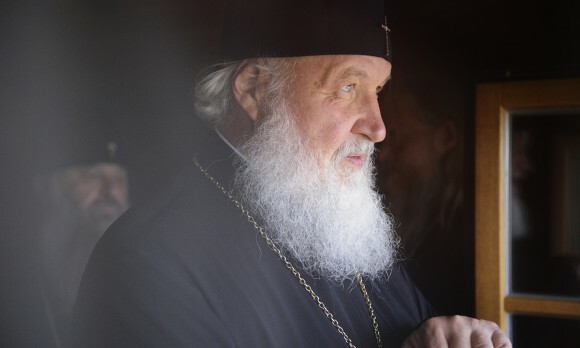 Without going into detail into this difficult topic, we can say that Orthodoxy is the religion that unites man with God and that reveals the grace-filled fruits of this union in his life. The evidence of this is the two-thousand year experience of history in which thousands upon thousands of saints have shown forth who have embodied in their lives this religious ideal and have been vouchsafed genuine union with their Creator.